Ingredient - Metro Supply & Equipment Co. Ingredient There are 4 products. Trimeld Ingredient Bins, 2-3/4 Cubic Ft. Cap. 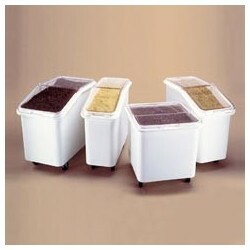 Trimeld Ingredient Bins, 3-3/4 Cubic Ft. Cap. Trimeld Ingredient Bins, 3-1/2 Cubic Ft. Cap. Trimeld Ingredient Bins, 4-1/8 Cubic Ft. Cap.